« Saint Patrick’s Day – Parade in Budapest – 2016. Location: District II., – 55 Margit Blvd. – Budapest. Tickets can be purchased through below, or on the spot. Date: April, 16. 2016 at 3 p.m.
April, 20 and 27. 2016. at 8 p.m.
A peak into the story in brief … Heavenly Shift uses dark humor to tell the story of a young paramedic, who gets introduced to the night life’s cruel world, but eternal truth: death does not select, man does. MILÁN (András Ötvös) the half Serbian, half Hungarian guy deserted from the Croatian army in 1992, the second year of the Yugoslav war and escapes from Yugoslavia to Hungary. As a former medical student he gets a job for himself at the Hungarian paramedics. 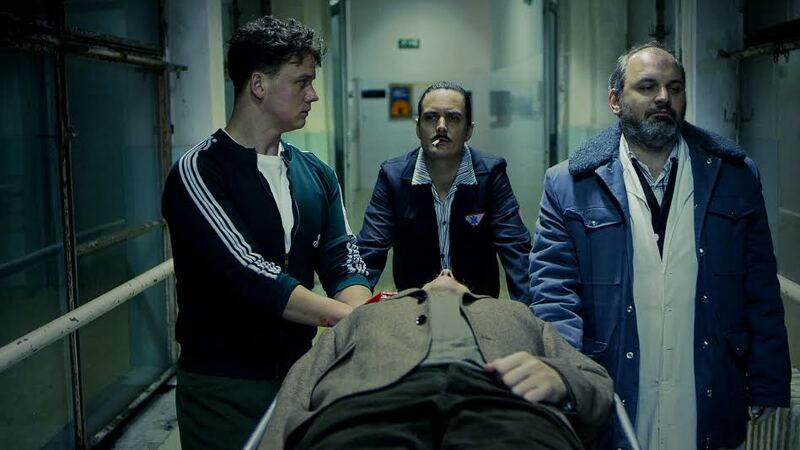 He has two unalterable, steady colleagues on the emergency ambulance KISTAMÁS (Tamás Keresztes) the driver of the ambulance and FÉK DOKTOR (Roland Rába) to be the leading paramedic of the team. It is a cold shower for the young enthusiastic and conscientious emergency care assistant when he realizes that his companions make a selection from the patients. While they are saving lives, sometimes they allow old people or mortally ill to die, or indeed it occurs that their death is hurried by them. MILÁN soon finds out that there is a business side to the illegal euthanasia events taken place at the back of their ambulance. In order to finance his fiancée’s rescue from the war MILÁN needs money, so he makes a deal with his companions. He gradually becomes involved in the horrors and sin. While he is turning into a skilled paramedic, and lives through the euphoric moments of lifesaving, he recognises innumerable faces of the death. The crew of the play: Director-script: Márk Bodzsár, Cast: András Ötvös, Roland Rába, Tamás Keresztes, Sándor Zsótér, Natasa Stork, Cinematographer: Dániel Reich Producer: Unio Film, Editor: Zoltán Kovács, Sound: Tamás Dévényi, production designed by Gábor Valcz, Costume designed by János Breckl, Music by Gábor Keresztes, Production of Unio Film.